Now that we’ve officially said goodbye to 2018, it’s time to start thinking about home improvement projects in 2019. Sure, many homeowners will opt for kitchen renovations and bathroom remodels. But why not create a well-designed, functional outdoor space instead? Of course, we’re talking about decks. 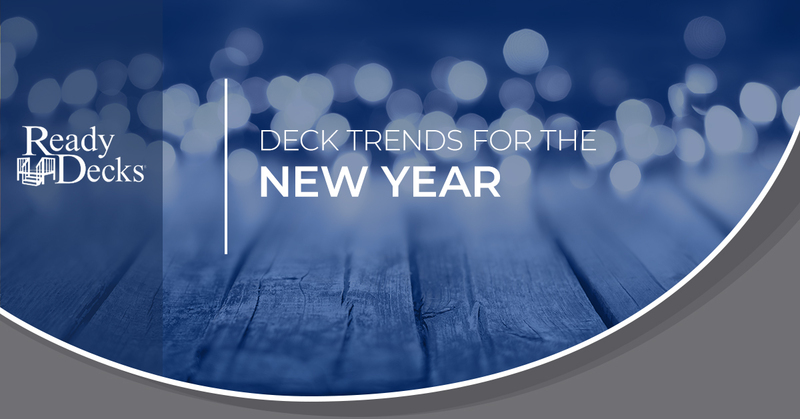 We remind customers that decks remain a popular investment in 2019 as homeowners try to get the most out of their outdoor space. But when it comes to choosing a deck and the features that go along with it, the last thing you want to do is make a hasty decision. Until recently, homeowners had to come up with creative ways to shield themselves and their guests from the sun while out on their deck. Thankfully, professional deck contractors are starting to offer protective coverings. Be sure to ask your installer about some sort of deck skirting such as UV-stabilized lattice. Not only will these solutions provide much-needed shade, but they can also serve as privacy screens. Maybe you remember the days when composite decks were trendy among homeowners. That’s certainly not the case any longer as more folks are choosing premium-grade, treated lumber for their deck. Not only does a wood deck look incredible, but it lasts longer than decks made of other materials. Just because you might not have the biggest backyard doesn’t mean you can’t create your own outdoor oasis. Contractors today are getting more accustomed to building decks in non-traditional spaces (think rooftop decks, freestanding decks, etc.). Your dream deck is well within reach thanks, in part, to moisture-resistant understructure systems. No oasis is complete without attractive water features such as small ponds and fountains. As you start brainstorming your new deck, don’t forget about the aesthetics. Pro tip: The right water feature can serve as the focal point of this outdoor living space. With that in mind, be sure to choose deck boards that offer minimal moisture absorption, solid traction, and an extended warranty. Poor lighting can turn even the most beautiful deck into just another space. That’s why we recommend investing in low-voltage products with modern angles. You may also consider easy-to-install accessories such as post cap, step light, deck sconce, and post sconce lights. There’s no question that modern, trendy lighting will add ambiance and safety to your outdoor space. Now that you know some of the deck trends in 2019, it’s time to select a deck contractor. But with so many to choose from, how do you really know which is right for your project? Well, at Ready Decks, we’ve provided thousands of homeowners with incredible decks since 2001. At Ready Decks, we understand how much the decking industry has changed in recent years. That said, our team holds true to our principles of quality, value, and integrity. We believe that every homeowner deserves a beautiful, functional deck for years to come. See how Ready Decks can install the deck of your dreams in as little as one day. Contact us today.